Here’s the hard part, right at the beginning: the value of a business plan is measured in money. That’s hard for me at least, maybe not for you, but for me. As a genuine ex-hippy baby boomer entrepreneur, I like touchy-feely do-gooder measurement systems. But that’s not the real case. Like just about everything else in business, the value is money. Money in the bank. The actual calculation is pretty hypothetical. You take the money in the bank with the business plan and subtract money in the bank without the business plan, and that’s the value. One of the two is just a guess. But there it is, a cold hard (although hypothetical) number. We simply can’t look at business plans as generic. You have to start with whether or not the plan achieved its business purpose. Some plans exist to get investment. Some are supposed to support loan applications. Those are specialty uses, that apply to some business situations, while almost all businesses ought to develop management-oriented business plans that exist to help run the company, not to be presented to outsiders. Obviously form follows function. The business plan used internally to manage the company doesn’t have to polish and present the company to outsiders, so it probably lives on a network, not on paper. But the plan as part of high-end startup looking for VC or angel investment does in fact have to present the business to outsiders. These are very different plans. Some of them have sales objectives, selling an idea, and a team, and a market, to investors. Some have a support objective, reassuring a lender about risk, usually with assets. My favorite business plans are about managing: starting and growing a company. A plan that might be great at selling the company might be bad at supporting a loan application, or for managing a company. So point one, what makes a good business plan, is that it fits the business need. Does it achieve the business objective? At this point it’s hard to avoid going into branches. I’m going to resist the temptation to write about what people look for in investment-related plans, and then the plan for lenders, or the operational plan. There are a lot of branches on that tree. Factors like readability and ease of navigation and covering all the main points depend a lot on whether those qualities affect achieving the plan’s business objective. So it’s entirely possible to have an excellent business plan that’s never been printed, that isn’t edited, that contains only cryptic bullet points that only the internal management team understands. And it’s also possible to have a well written, thoroughly researched, and beautifully presented business plan that’s useless. 2. It’s realistic. It can be implemented. The second measure of good or bad in a business plan is realism. You don’t get points for ideas that can’t be implemented. 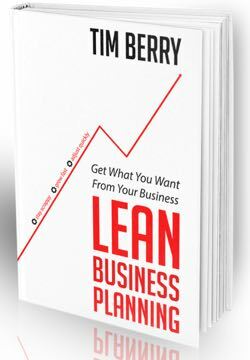 For example, a brilliantly written, beautifully formatted, and excellently researched business plan for a product that can’t be built is not a good business plan. The plan that requires millions of dollars of investment but doesn’t have a management team that can get that investment is not a good plan. A plan that ignores a fatal flaw is not a good plan. 3. It’s specific. You can track results against plan. Every business plan ought to include tasks, deadlines, dates, forecasts, budgets, and metrics. It’s measurable. Ask yourself, as you evaluate a business plan: how will we know later if we followed the plan? How will we track actual results and compare them against the plan? How will we know if we are on plan or not? While blue-sky strategy is great (or might be, maybe), good planning depends more on what, when, who, and how much. You have to be able to identify a single person will be responsible for every significant task and function. A task that doesn’t have an owner isn’t likely to be implemented. You can go through a business plan and look to see whether or not you can recognize a specific person responsible for implementation at every point. This is very important because business plans are always wrong. They’re done by humans, who are guessing the future, and humans guess wrong. So business plans must clearly show assumptions up front because changed assumptions ought to lead to revised plans. You identify assumptions and keep them visible during the following planning process. At this point we leave the discussion of the plan itself, as if it were a stand-alone entity, and get into how the plan is managed. The first five points here are about the plan. You can deal with them as the plan develops. This and the following two are about the management of the plan. I know that’s kind of tough, because it means that a plan that isn’t managed isn’t a good plan. But I can live with that. So a good plan is communicated. Up above, where I suggest that the qualities of writing and editing are not essential for all plans, and I reference cryptic bullet points that only the team understands: I stick with that here. If only the team understands them it, it can still be a good plan; but it has to be communicated to that team. We’re judging the plan by the business improvements it causes; in some sense, by the implementation it causes. So people in charge have to know and understand the plan. Plans in drawers, or locked on a single computer, only work when it’s a one-person organization and nobody else has to know the plan. Here too it’s about the process surrounding the plan, more than the plan itself. The plan has to have the specifics in point 3 and responsibilities as in point 4, but the management has to take them to the team and get the team committed. For the one-person business that’s easier, but still important. Definition of commitment: in a bacon and egg breakfast, the chicken is involved, and the pig is committed. Sadly, you can have all seven of the above points, and if you drop the ball — the plan in the drawer syndrome — then the plan still isn’t a good plan. It has to bring the planning process with it, meaning regular review and course correction. No business plan is good if it’s static and inflexible. Planning isn’t about predicting the future once a year and then following that predicted future no matter what. Planning is steering and management. It takes a process of regular review and course correction. Thanks for reading the post and sharing your comments. When I was 20 years old I started my own business. I didn’t really saw the purpose to make one until later I suffered. Thanks for the article it will help other adventurous individuals. It’s really a matter of how real the plan is. There are lots of business plans that end up in trash-cans because the targets are not doable and bring dispersal instead of focus. I agree with Tim especially on the point that targets do have to be communicated to people who are responsible for them… Why would I spend my time on writing something that is not going to work? Hi Tim – I really enjoyed reading your piece. We write a business plan every year and it ends up stuffed in a drawer – the only time we bring it out again is to revise it the following year. Do you think it is the constant review process that helps to make it more relevant to the day to day management of the business? Hi Tim – I have a silly question in regards to #7. I love to rationalize phrases and I don’t quite get the definition of commitment. Why isn’t the chicken committed? If not, there’s no egg. No? Carol: the pig is dead. The chicken will lay another egg tomorrow. Thanks Joseph. I think that’s true, but this post is about factors that make a good business plan. Would you say that a good plan increases self motivation? Should the self motivation be part of the plan? i think in life as a person you need to plan what ever you want to do cos a life witout planning is incomplete. what do you think guys!!! Excellent information. I really agree with your approach. It’s very ‘organic’ as it takes the nature of what really happens into account while still relying on numbers and tracking to manage the plan’s DNA. Planing is the perceived assumption but it must change as it gets implemented to fit the real world. 1. Why is it that a Break-Even plan for the business was not mentioned at least explicitly? Because a break-even plan isn’t as important as the points I do mention. @Jess: re simpler, I appreciate the comment What would you like to be more specific, so maybe I can help? I’m always in favor of simple. Is there a specific point, or maybe more than one, you’d like me to try to rephrase? Tim.